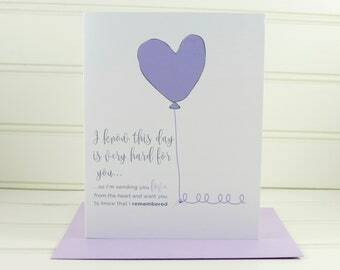 This sympathy card was designed to offer comfort to someone who has suffered the loss of a spouse, child, parent, grandparent, family member or friend. This card can be fully customized and personalized at no extra charge and also includes a free matching colored envelope, round envelope seal, and a U.S. Forever postage stamp. 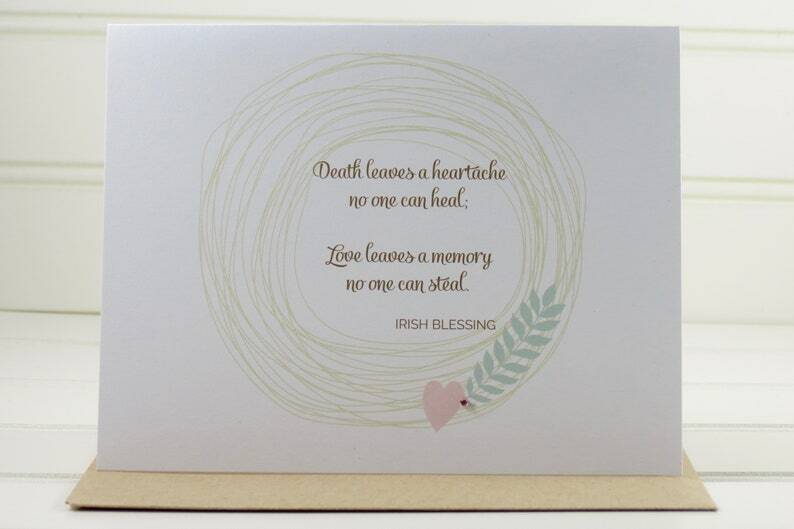 This personalized card has an illustration of a floral wreath and an Irish Blessing message, "Death leaves a heartache no one can heal, love leaves a memory no one can steal..." The card is blank on the inside and measures 4.25” x 5.5”. Really beautiful card. Sent quickly and promptly. Will definitely purchase again from this site. Nicely done very quick delivery thank you! What a beautiful thoughtful card - such meaningful verse on the front of this card. It was so perfect to send to such a dear friend. Vikki personalized the inside of the card with a verse I supplied and the finished card was PERFECT!! !